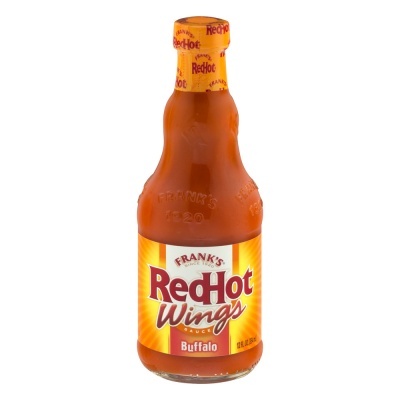 Frank's Red Hot Buffalo Wings Sauce - 12oz 354ml Since 1920. The secret to the original wings! Restaurant taste! Ready to use. 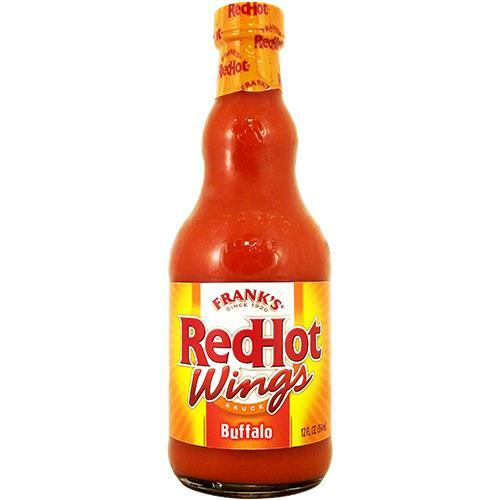 Frank's Red Hot was the secret ingredient used in the original Buffalo wings created in Buffalo, NY in 1964. Now we've used our hot sauce expertise to create a special, ready to use Buffalo Wing Sauce just for you! 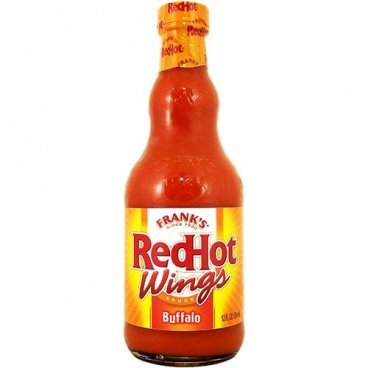 With Frank's Red Hot Buffalo Wing Sauce, you can enjoy the delicious hot and spicy taste of restaurant-style wings at home. Try our recipe today! Made in USA. 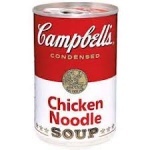 Ingredients: Distilled Vinegar, Aged Cayenne Red Peppers, Salt, Water, Canola Oil, Paprika, Xanthan Gum, Sodium Benzoate (As a Preservative), Natural Butter Type Flavour and Garlic Powder.